Whistleblower uncovers hundreds of helicopters with serious safety flaws. They fly in some of the most difficult circumstances imaginable. Pilots and EMTs flying in emergency service helicopters put it all on the line to save victims of car wrecks, shootings or wilderness rescues. However, as our investigation revealed, a federal bureaucracy may also be putting their lives at risk. At issue, is the use of night vision goggles inside the helicopters and the FAA’s lack of oversight when it comes to their safe and proper implementation. Night vision goggles have been worn by military pilots for decades and within the last 10 years have become widely used throughout the emergency medical service industry. However, according to Foster, many of these helicopters that are using NVG technology have not been properly equipped to fly safely. According to Foster, when a helicopter is not properly retrofitted with the appropriate light filters, the light from inside the cockpit can interfere with the goggles and impair a pilot’s vision while wearing the NVGs. “It’s extremely serious. I mean you’ve got helicopters operating in an emergency condition, in an unknown area, you got people dying in the back from wrecks and other accidents, operating out of canyons and valleys out in the desert, and there’s no back-up systems at all,” Foster said. 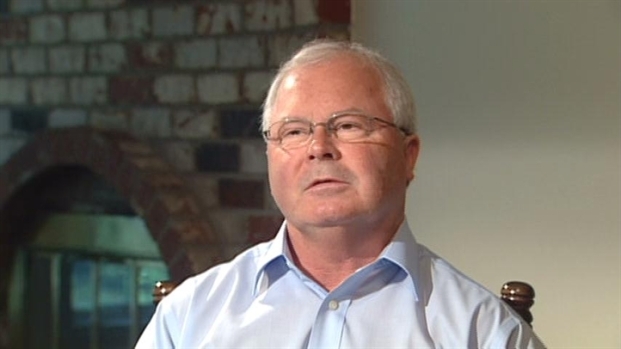 Foster first notified the FAA about this problem back in 2008. After his warning fell on deaf ears, he said he felt compelled to file a whistleblower complaint with the Office of the Special Counsel. 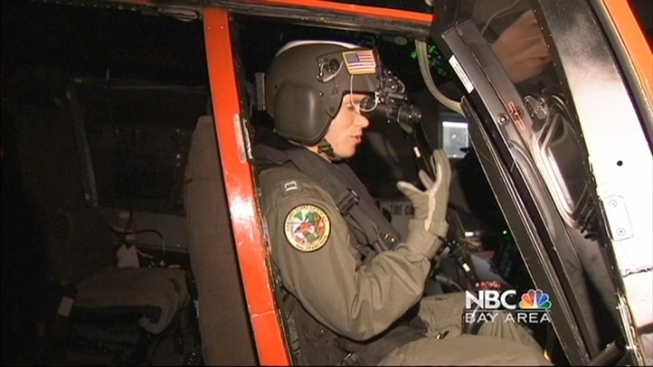 The problem was demonstrated to NBC Bay Area’s Investigative Unit during a ride along in the California Highway Patrol’s helicopter. It was a helicopter that has been properly retrofitted and is capable of switching these light filters off and on. When the filters were turned on The Investigative Unit’s camera was able to see straight through the windshield without obstruction. However when the filter was turned off, the lights inside the cockpit produce a prominent glare that could potentially blind a pilot using the goggles. There was also a glare off the front of the windshield making it difficult to see straight ahead. Michael Danko is an internationally recognized aviation attorney who has sued on behalf of air crash victims around the world. He is also a pilot. Danko told NBC Bay Area that this problem is causing a hazard to aviation. “If the helicopter is not properly equipped, they are dangerous because they obscure the instruments, so you cannot tell what the instruments are saying,” Danko said. Danko believes that the FAA has failed to protect the public by not forcing change in helicopters with night vision goggles sooner. “They present a serious risk and harm to anybody that is in the helicopter. We know exactly which helicopters in which the installation is inappropriate, and what has happened? Nothing,” said Danko. Safety is the FAA’s top priority, and the agency works closely with helicopter air ambulance operators to make safety improvements and implement new technologies such as Night Vision Goggles (NVGs). While the FAA encourages the use of FAA-certified NVGs where appropriate, operators must integrate them with other systems, including cockpit lighting, and must provide extra FAA-approved training for pilots and crew members. In 2010, after a comprehensive investigation of possible NVG safety issues, the FAA took additional action to ensure the safety of night vision-equipped aircraft. The FAA finally took corrective action two weeks ago with an Airworthiness Directive affecting over 30 helicopters with improper modifications. But Foster says the problem still has not been completely fixed on all makes and models of helicopters that carry this potential problem. Foster estimates that there are at least 800 helicopters nationwide that have had questionable modifications. “They keep coming out with guidance and it’s an operator voluntary compliance rather than the FAA mandating that something be done to validate each helicopter,” said Foster. CalStar, Santa Clara County Sherriff’s Office and the California Highway Patrol tell us that all of their helicopters have been checked out and have the proper lighting equipment installed. One of the major suppliers of these helicopter lighting systems, Aviation Specialties Unlimited (ASU) based in Boise, Idaho, tells us that the problem is between the FAA and Office of Special Counsel and not ASU. In a statement ASU said that all of their modifications have been approved by the FAA and that none of the 600-plus helicopters that ASU has modified has been in any incident or accident because of those night vision modifications. The FAA also points out that there have been no proven accidents or incidents aboard a helicopter because of this issue. Ultimately, everyone agrees that that it is up to the individual pilots flying these helicopters to make the final decision whether to fly an aircraft. Several pilots we talked to say they have not noticed a problem or if there was an issue, they believed they could overcome it. Still, Rand Foster worries that in an emergency situation where there’s no room for error, poorly retrofitted helicopters could be the difference between safety and disaster. A difference that Foster says puts pilots, EMT’s and the public at an unnecessary risk.